OUR sincere thanks to Director(HR), BSNL Board, PGM(Pers), DGM(SEA), AGM(SEA) and Accounts Personnel’s of SEA Section. BSNL has launched attractive scheme for BSNL Employees for Wings Services (Application Based Calling). Normal rent of Wing service is Rs. 1099 for one Year. But for BSNL Employees with special discount, Rent for the Wing service will be Rs. 250 for one year. Special feature:- Unlimited free incoming and Outgoing call within India on any network without SIM Card. Please give wide publicity among BSNL Employees to get benefit of this attractive Scheme. 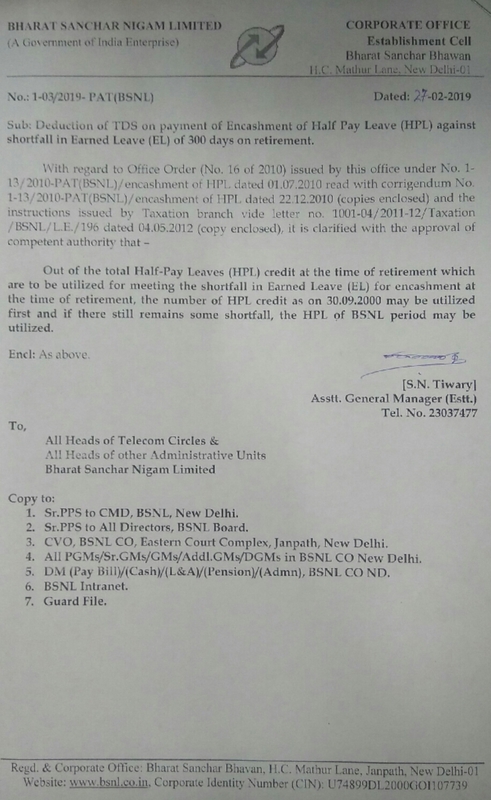 For More details please refer letter issued by BSNL. Congratulations ! MoU is signed between LIC and BSNL for the Group Term Insurance (GTI), which will be effective from 01.03.2019…..
> Pre – AIC CWC Meet at 10.00 Hrs.